Maryland law enforcement has officially implemented a boater safety plan in response to the rising number of serious injuries and fatalities on the hundreds of state waterways. The plan, entitled Operation Dry Water, is actually a national initiative, which was created to raise awareness and enforcement of incidents of boating under the influence or BUI. 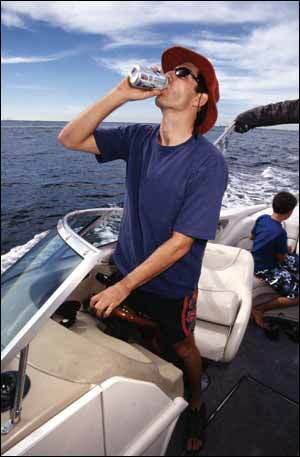 According to the National Association of State Boating Law Administrators, nearly 17 percent of all boating fatalities are caused by alcohol use. Lawmakers and law enforcement agencies decided to adopt the national initiative after a recent three year spike in waterway deaths. In 2011 there were 24 Maryland waterway fatalities and last year there were 11, which is double the 10 year state average. The Natural Resources Police, on orders from Governor O’Malley, will aggressively target reckless and negligent boaters, and especially those boaters who are under the influence of alcohol. In addition to policing drunk driving, waterway cops will also patrol the waters to make sure that boaters are complying with state and federal boating laws such as limiting the number of passengers onboard, and assuring that life jackets are available. The National Resources Police are not the only law enforcement agency that patrols the state’s waterways, as numerous municipalities across the state have their own cops patrolling hundreds of miles of rivers, lakes, and bays. Boaters should keep in mind that many of the same search and seizure rights that protect motorists do not apply to vessel drivers. In most cases water cops and Coast Guard officers are allowed to stop civilian vessels to check for compliance with state and federal regulations. It is during these so called consensual encounters where cops tend to gather evidence that ends up being the start of a BUI investigation. Water cops are trained in the detecting signs of intoxication. The standard signs include slurred speech, bloodshot watery eyes, and the odor of an alcoholic beverage on the breath of the person, but there are various other signs that will catch the attention of a cop. If police think that the operator of a vessel may be intoxicated they can board the vessel and conduct sobriety exercises, or transport the driver to shore to conduct the exercises. In Maryland, the crime of BUI is treated the same as a standard highway roadway DUI. The maximum penalty for a first offense of operating a vessel under the influence of alcohol is one year in jail and a $1,000 fine. BUI cases are often treated more harshly than standard DUI cases because the vessel drivers routinely have numerous passengers onboard, and in many cases these passengers are minors. It is quite rare for a single boat operator to be on state waters with alcohol present. Simply put boating is a social event, especially during the summer months in places such as the Eastern Shore. So the bottom line is that all boaters and passengers should be on the lookout for the National Resources Police and other law enforcement agencies while out on the water. And in the unfortunate case of a BUI arrest contact criminal defense lawyer Benjamin Herbst at The Herbst Firm for a free case consultation.